Sticking with the theme of A-Z during the school holidays, I am delivering on a promise for alphabet soup. 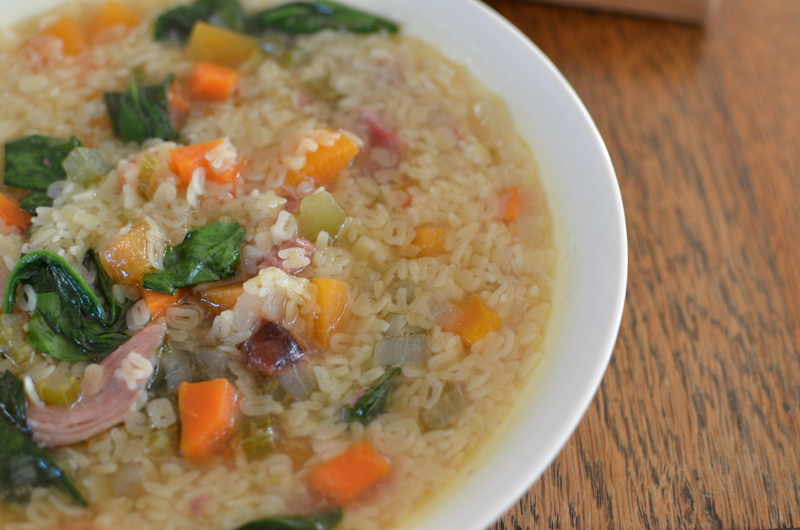 This is an adaptation from the Ham, Barley and Spinach Soup in More Simple Cafe Food created by New Zealand’s Julie Le Clerc. 1. 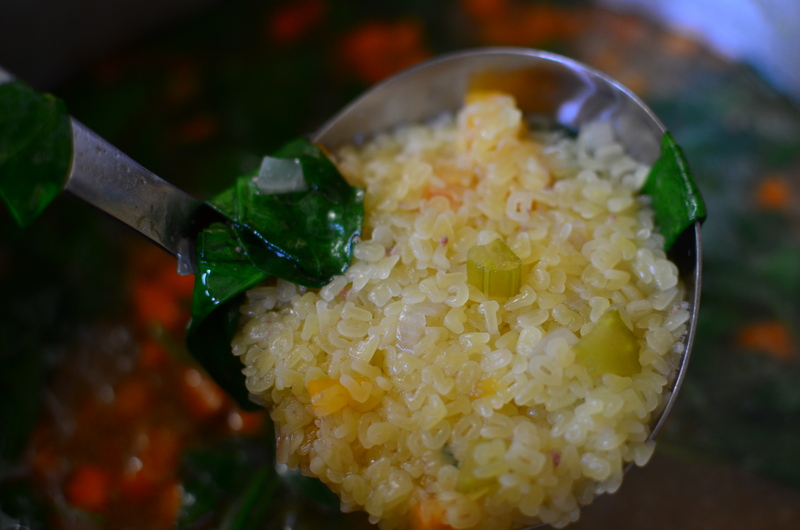 In a large saucepan sweat diced onion, carrot, celery, suede (or pumpkin) in oil for 10 minutes to soften without browning. Add all ‘animal’ bone(s), stock and bay leaves. Generously cover with cold water and bring to the boil. Simmer uncovered for 1 hour. 2. Remove bay leaves and bones but return any shreds of meat to the saucepan (you may need to help some of the meat off the bones). Add alphabet (it should take about 4 minutes to cook) and just before serving add spinach leaves so they can wilt before seasoning the soup with salt & pepper. A great way to get the kids eating their veges and having fun at the same time.